Pilots refer to a “hard landing,” when they have been forced to land their plane under extreme conditions. Ukraine, too, has been forced to go through a very hard period of pre-flight preparations in the last five years. In a very short timeframe, it began rebuilding its engines, reforming the economy, refueling from the IMF and international partners, and taxiing out on its chosen Euroatlantic runway. Now all the passengers are watching carefully to see how the take-off goes and which direction the aircraft will fly in. For this to happen, Ukraine needs reach a series of security objectives, not all of which are exclusively the remit of the enforcement agencies. A number of positive trends can already be seen in this sector, which is no less than should be expected, given that Ukraine has been facing sustained aggression. Still, a substantial challenge remains ahead. Reforms in the Armed Forces and Defense Ministry should be reaching their final stages and bringing results. This means, among others, revising the legislative base, a process that is ongoing, although not all the necessary bills have been debated in the Verkhovna Rada so far. The way martial law was voted on demonstrated clearly that security issues are not a top priority for those sitting in the legislature today, which means that one of Ukraine’s goals has to be forming a new group of lawmakers that understands how important and urgent military issues are. The point is not just to change the names of military ranks or social benefits to soldiers, but also large-scale issue such as the option of procuring weapons abroad. No less important is reforming the National Police and increasing public trust in its activities. Maintaining internal security in the face of external aggression is a matter of survival for the country. The same is true of the Security Bureau of Ukraine (SBU). It remains the only unreformed agency in this entire sector. On one hand, the SBU has managed to demonstrate a considerable positive breakthrough in its abilities over the last few years. Quashing attempts at an “Odesa National Republic” or ONR and the faked assassination of Arkadiy Babchenko alone were operations worthy of high marks. On the other hand, as long as the SBU has officials with dual Ukrainian and Russian passports and dubious business interests, it’s too early to talk about its overall performance. What’s more, the process of instituting effective parliamentary oversight of the agency is far from finished, although it is part of the national security strategy and a requirement for cooperating with NATO. Indeed, partnership with the Alliance needs to continue although Ukraine still hasn’t been granted the MAP and is unlikely to do so in the near future. The Armed Forces need to be maximally engaged in as many exercises with NATO as possible and to become interoperable with NATO forces, given that this is with whom Ukraine will most likely fight shoulder-to-shoulder over the next 3-5 years. After all, the Russian Federation has precisely these objectives for planning and reforming: in 2018 alone, 10 new military formations and units were formed, with another 11 expected in 2019 – and we’re only talking about land forces. That doesn’t mean that the minute this is done, Moscow will automatically go on the attack, but it will be ready for such a move and, given the right circumstances, will ensure the necessary casus belli. In addition to responding to the external, more visible threat, those governing Ukraine will have to determine where the flames of separatism might be smouldering internally over the next five years. The problem will not be a “Russian Spring 2.0” but Carpathian Rusyns, Hungarian meddling and Romania’s appetites in Bukovyna. Today, it’s hard to imagine any realistic scenarios of losing control over specific territories, but given enough political chaos in Kyiv, there could be attempts that the Kremlin would indubitably take advantage of. To overcome any possible security threats, the country needs a properly equipped army and special services. 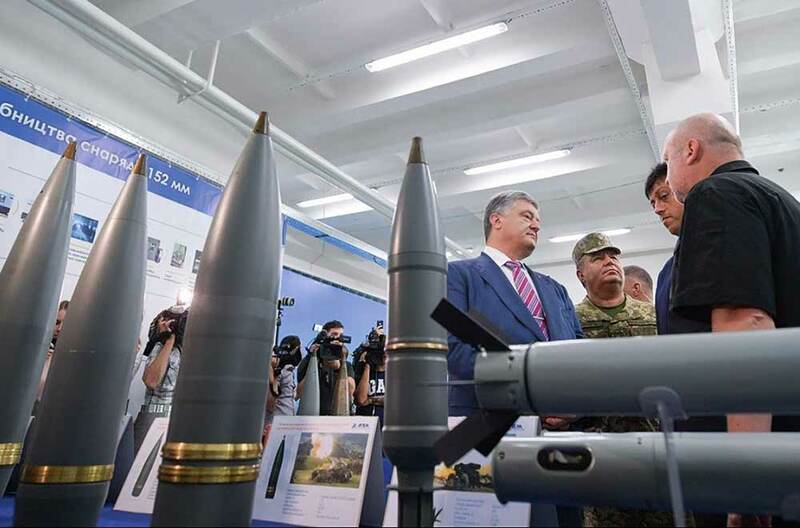 Given very limited supplies from Ukraine’s foreign partners, Kyiv will mostly have to count on its own resources – for starters, by developing the domestic defense industry. Artem DAHK, a state-owned holding company, has begun producing NATO-standard large-caliber shells. Vinnytsia-based Forti has finally launched closed-cycle production of small arms, although so far it’s only making bullets for pistols because larger caliber will require expanding to new equipment. After a series of explosions at ammunition depots, these manufacturers need to raise their output to full capacity in order to provide for all the needs of the various forces. Equally importantly, serial production of ammunition for newer missile systems like the Vilkha or the Neptune needs to get underway. Until this goes large-scale, their innovativeness and effectiveness won’t mean much. The same is true of other innovations in Ukraine’s defense industry. While some of them may be equal to or even better than foreign analogs in some parameters, they are available to the military in limited quantities so far. This reflects not only on the production capacities of defense companies but more than anything on the capacity of the government to pay for the cost of development and testing. And so, last but far from least, national security comes down to the state of the national economy and how much the country is prepared to spend on its own defense. Nevertheless, this sector is capable not only of becoming a driver for the domestic economy, but also a source of serious revenues for state coffers. Historically, Ukraine has been a serious player on the world arms market. Unfortunately, it gained this status largely by selling off old soviet stock and servicing it. It’s high time for the country to move to a new level, proposing innovative solution and competing for rich buyers. The manufacture of the modern Hrim-2 tactical missile complex commissioned by Saudi Arabia could be just the successful launch and example that Ukraine needs. Kyiv also needs to keep in mind that Russia will do everything possible to remove Ukraine as a competitor from this market. This could be covert lobbying for unilateral tenders, such as what happened with the repair of Bulgarian MiG bombers, and spoiling the reputation of its rivals in order to take over orders. Moscow has already run more than one dirty tricks campaign to discredit Ukraine as a reliable supplier of arms and military equipment. The Kolchuga scandal involving Iraq during Kuchma’s presidency, the supposed sale of missiles to North Korea, and the most recent story, about the alleged supply of weapons to Southern Sudan, are just a few examples. Nor should Ukraine count on anything changing for the better in Russia’s behavior. The battle for precious hard-currency exports will only get nastier as sanctions squeeze the Russian economy more. In this kind of situation, security becomes even more dependent on diplomacy than ever. Moreover, conflicts on diplomatic fronts can be no less bitter and violent than those on the battlefront. Lately, Ukraine has enjoyed a number of victories: Russia was not able to return to PACE or to change its voting principles; Russia’s candidate was not elected to run Interpol; and the UN continues to vote resolution after resolution in support of Ukraine, despite all the hostile efforts of the hard-core group of “friends of the Kremlin.” Ukraine’s diplomats now have to figure out a way to build relations with these 27 – based on the last vote – countries and to persuade them of Ukraine’s position. Diplomacy is also a way to offer an asymmetrical response to Russia’s claims to the Azov Sea, say, by agreeing on the regular passage of ships from western countries. A further issue is regulating relations with two of Ukraine’s closest neighbors: Poland and Hungary, regardless of how ambiguous their leaders and policies are towards Ukraine. Despite their official remoteness from secular problems, the influence of churches on national security should also not be underestimated. And so the publicity around gaining world recognition of the newly-formed Orthodox Church of Ukraine also belongs among top priorities for both diplomats and the clergy. The formation of a unified national church could become another factor consolidating Ukrainian society, and that also has security implications. The goal of the country’s leadership should be to find more such factors. Establishing independent, objective media outlets that the public can trust and bringing order to the information arena mean no less than buying new weaponry for the military. A media awareness campaign would help people distinguish factual news from propaganda and disinformation. The country’s cyber-security system also needs to evolve, especially around critical infrastructure. This means not only importing modern equipment from foreign partners but also establishing an operational system for exchanging information about incidents and organizing joint responses on the part of both state agencies and the private sector. Today, Ukraine’s CERT and individual cyber security bases at the SBU and Defense Ministry are involved in this, but their options are very limited.